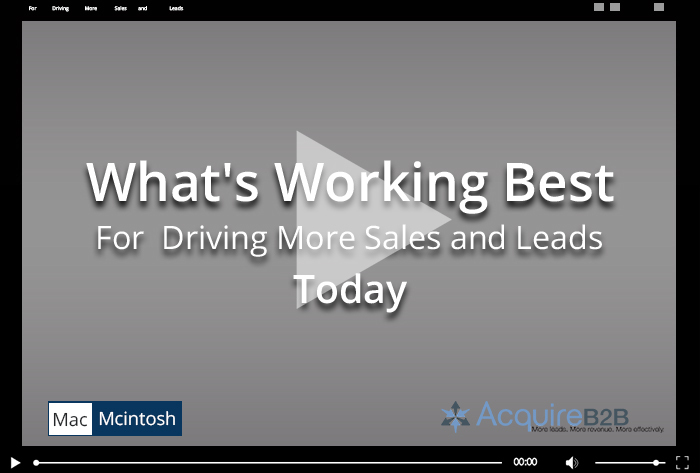 When you do all-lead-gen-all-the-time, as we do at AcquireB2B (and as Mac McIntosh has done for decades), you gain an extremely broad perspective on what works, what doesn’t, and why. Mac has crammed a lot of that information into this informative presentation whose “four rights” can help put 300% more quality leads in the pipeline and make Sales 50% more efficient. To watch, just enter your information and click play.